I fall in love with flowing beautiful drape at first sight. 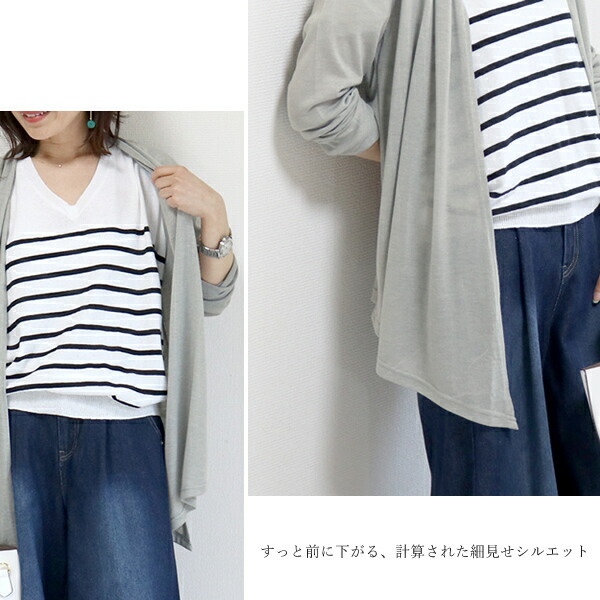 According to the brand name thin; show it, and the effect is great; a slim drape cardigan. In a stouthearted friend of the daily. 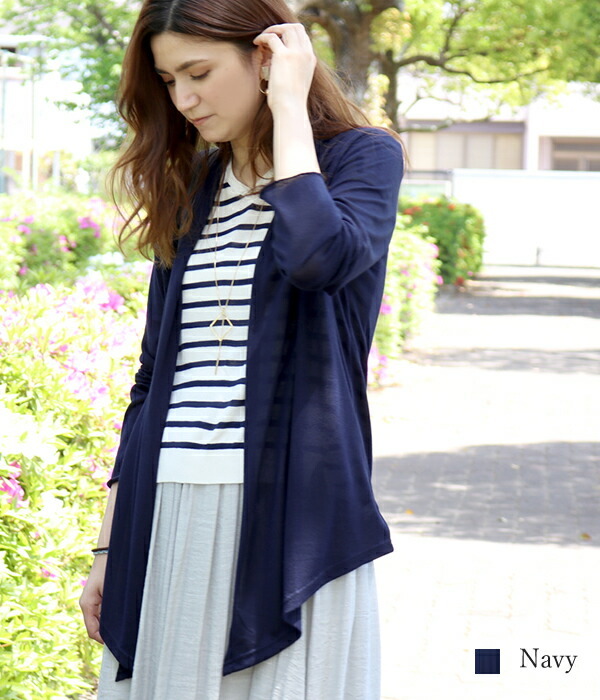 It is the excellent cardigan which I want to recommend to the adult girl who is sensitive to ultraviolet rays smartly. In a knit characteristic, some errors may occur to the size. Please buy it after approval. 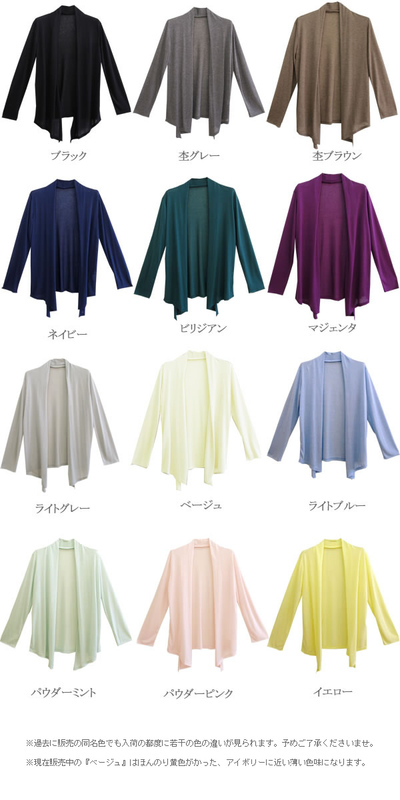 The beautiful drape adds material to the UV processing like an adult more softly so that it is just felt feel well, and I improve charm remarkably, and a popular basic item "slim stretch mesh drape cardigan" of ファニカン appears. 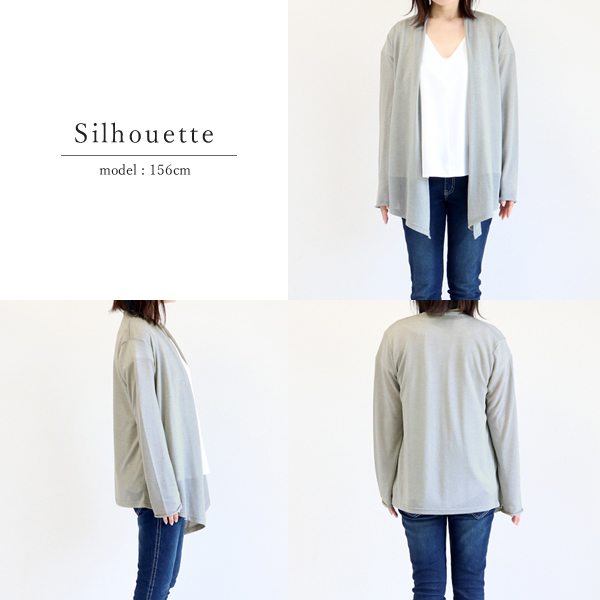 According to the brand name, a slim silhouette comes true just to put quickly; thin; a reason the proud drape silhouette that show it, and an effect is great of popularity. 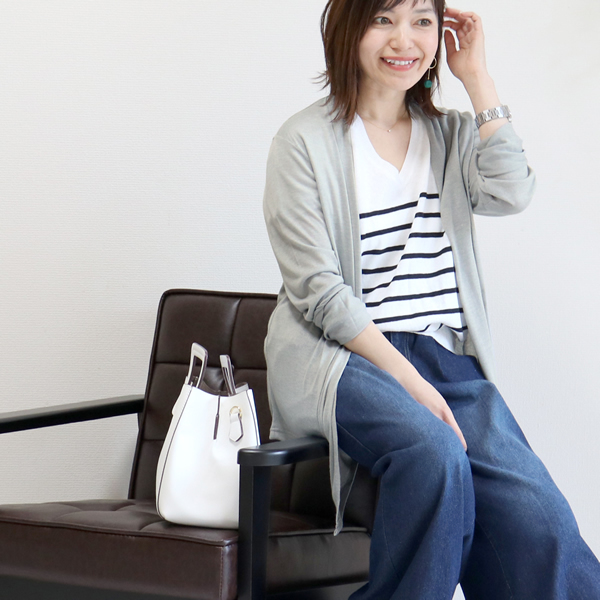 In the friend where it is thin and is most suitable for a coming season, and the daily is reassuring. 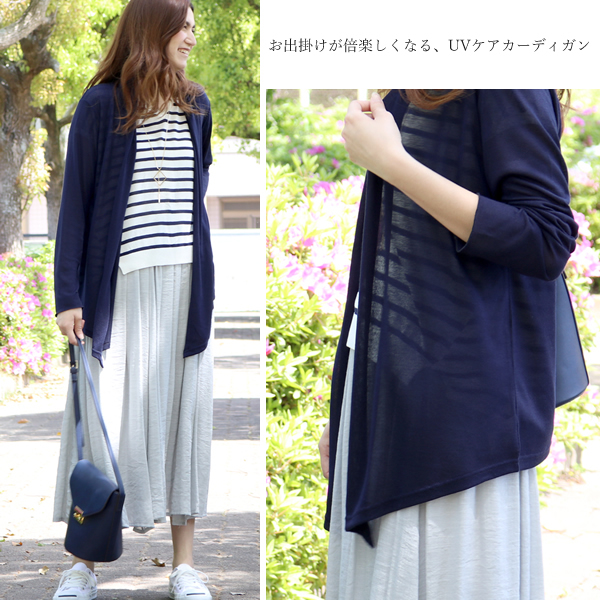 It is the excellent cardigan which I want to recommend to the adult girl who is sensitive to ultraviolet rays smartly. ●The size of the product may be different at every re-arrival. 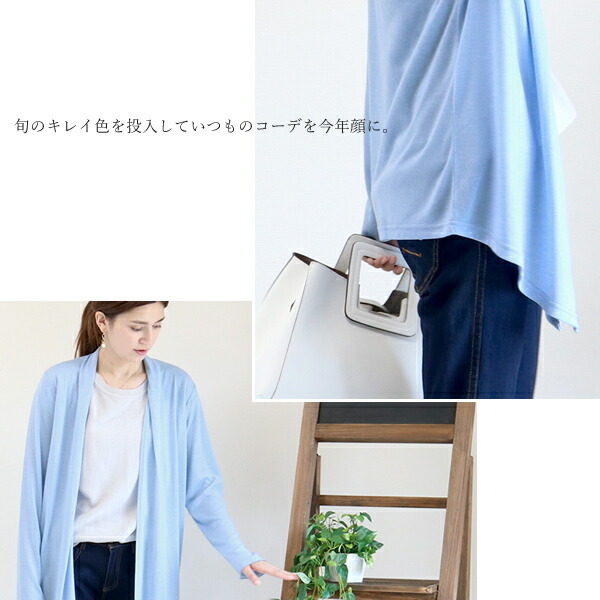 As I update a size list each arrival, sorry for your inconvenience, but, in the case of the product purchase which had you demand it before, I would like the confirmation of the size list. In addition, sorry for your inconvenience, but I would like notification as I accept it as a size defective article when there is more than mention size and 3cm difference. ●In the process of production with the machine, rough point and disorder may be seen in the sewing of the product, but there is not it by the problem in the quality. 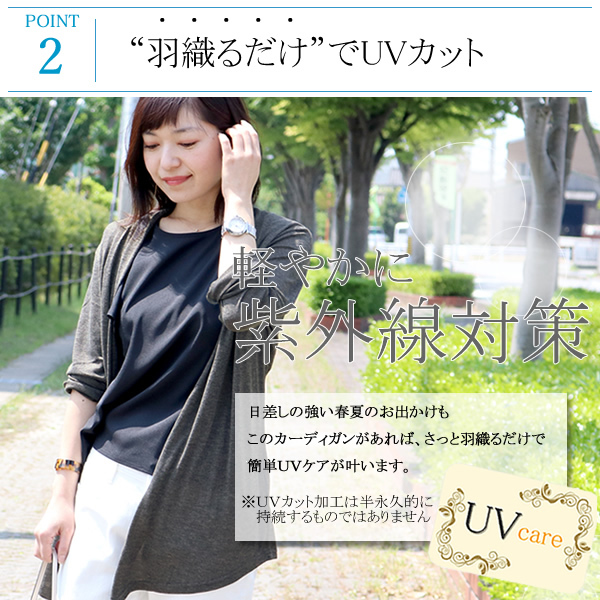 ●Other fiber may blend it to a texture of the cloth. ●Clothing, the petty person may have dye incense peculiar to a product. ●A dyeing irregularity and color omission may be seen in a print and dyeing. 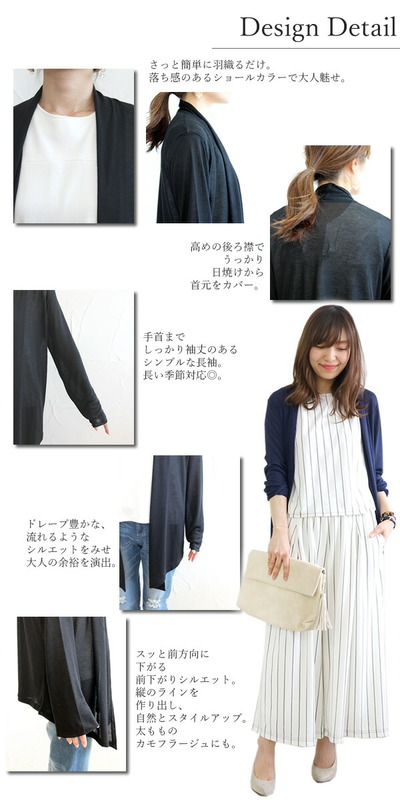 ●As the way of coming out of patterns of the print varies according to a product, it may be different from a model image. ●Disorder occurs for the lock processing, and an edge thread may be left. 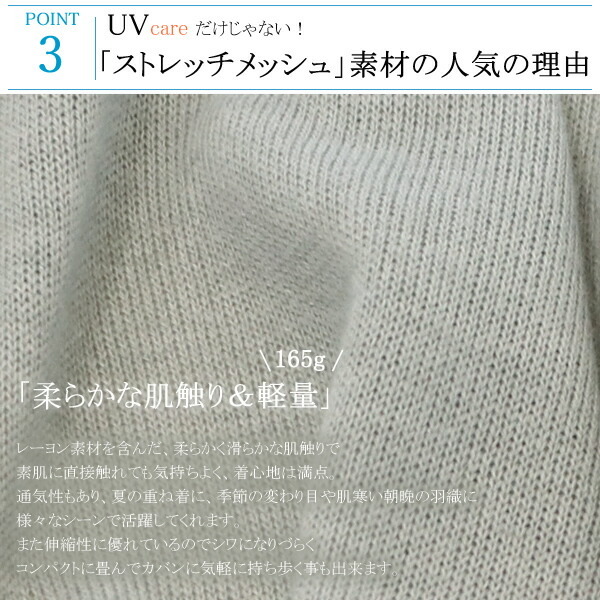 ●A distortion may be seen in a product to put cloth, and to cut it. ●Difference in size of 1 or 2cm may be seen by a product. 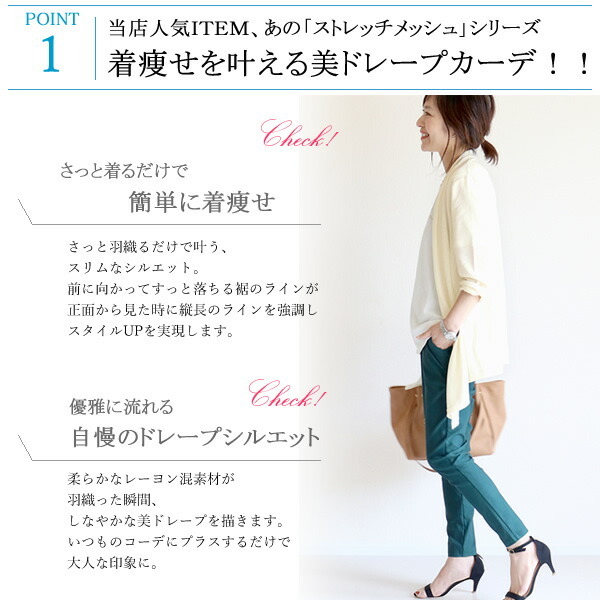 ●There is the product which a waste thread is easy to produce depending on fiber. 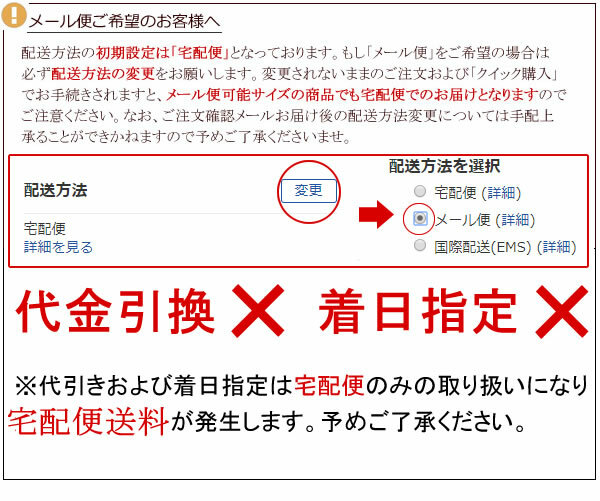 ●A wrinkle may be left to the product at the time of a notice to put it in the individual plastic bag, and to send it out. 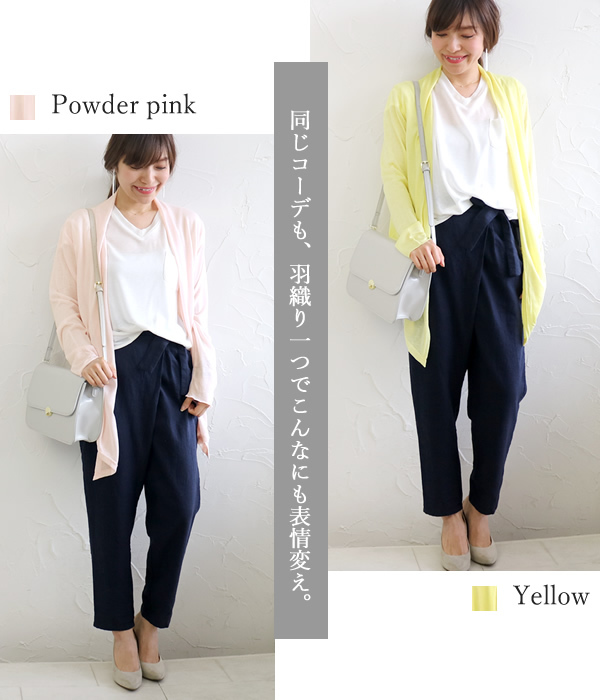 ●You repeat it with getting wet and put it, and please be careful about other clothes for a long time when you got wet with friction (friction in the particularly wet state) and sweat or rain as you may do color migration. In addition, you share it with other things, and please wash it. ●I make an effort about the color of the product photograph so that the real thing becomes near as possible, but a hue may be different by the kind of photography environment (weather and trick of the light) and the monitor looked at. 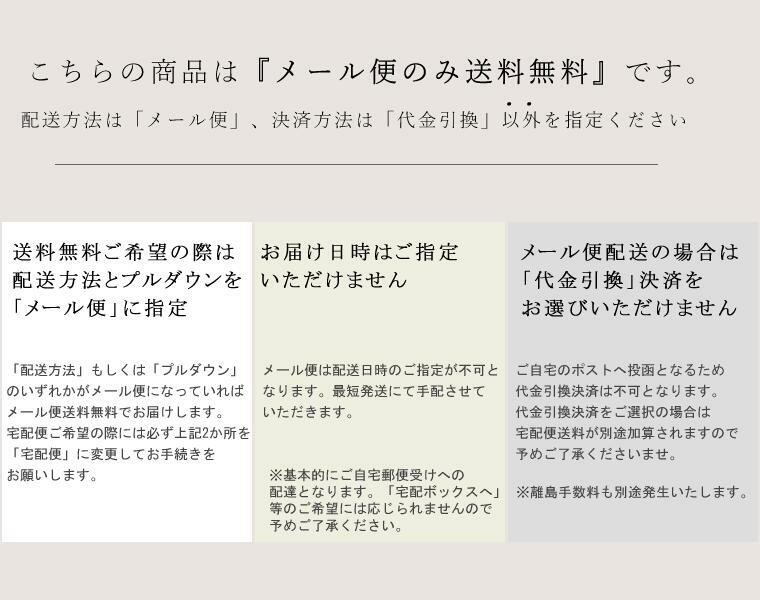 ●A wrinkle to shrink by washing and cleaning in a characteristic of the material to some extent, and to skew (the state that it seems that the whole product is twisted) may grow. ●I, please wash my hands on the occasion of washing alone by all means. 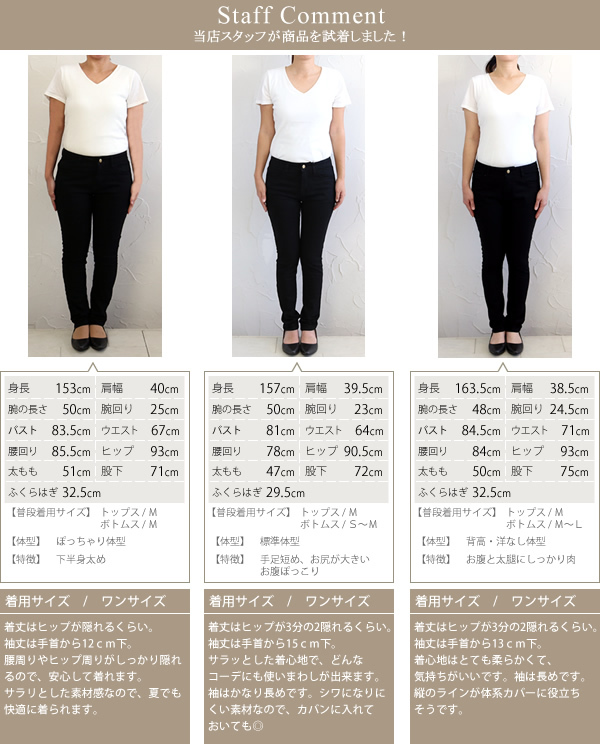 Color migration to other clothing may occur. 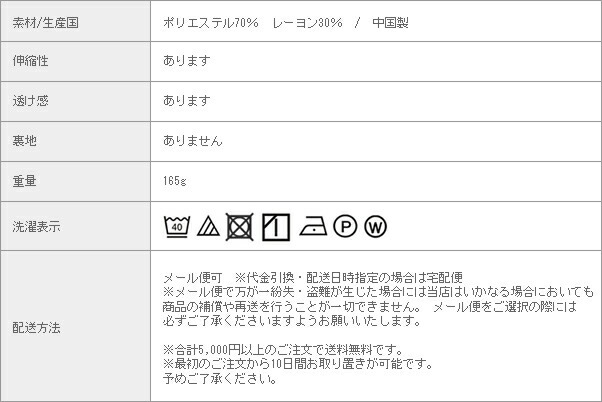 ●The sewing on thread of the name tag of the rear collar may be seen in a table by a product.